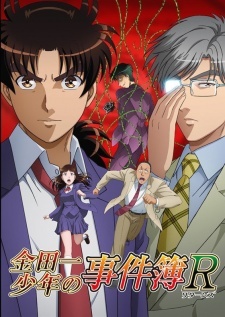 Plot Summary: The official website of the The File of Young Kindaichi Returns anime announced that a one-hour special television episode of the anime titled "The File of Inspector Akechi" (Akechi Keibu no Jikenbo) will air on December 26. The site streamed a trailer on Sunday, which previews the episode and its story. The video also reveals that Yudai Chiba will play Ryūtaro Kobayashi, a junior detective under detective Kengo Akechi.